My wife sensibly refused to go back to buy the stuff and organise delivery so I gallantly offered to do the dirty work. Now knowing the system I zipped through the room displays and joined the queue to queue to then be able to queue with a pager. Just 30 minutes later I was sat with a lovely yellow lady called Maria de las Nievas on the uncomfortable stools. I handed the previous quote over and a warm feeling came over me as she thoroughly checked each line of our quote umming and ahing as she went. Maria looked at me all maternally and told me that on our previous visit, yellow girl had duplicated items and quoted us 400€ too much. Maria was good, she was very good. I watched in awe as she phoned people to talk about stuff and then type things into the computer. Then came printing, lots of printing, more calls to check more stuff, then more pressing of buttons and yet more printing. But my heart sank when Maria said it would be three weeks until delivery and even worse I couldn’t simply pay her and leave. Instead she handed me a bag of door knobs, a wedge of paperwork and told me what to do next. I made detailed notes as my poor confused brain couldn’t cope. Although the units were to be delivered I was sent to find some of it in the cavernous warehouse below. Carefully modelled on Dante’s Inferno, the Devil beckoned from his pit of fire; the ‘market place’. Nothing can be done in IKEA without walking every square inch of the place first. No express lanes here as everyone needs a framed photo of a double decker bus and a few more tea lights. Exhausted I reached the warehouse and found the correct aisle surprisingly easily, I loaded up a hob and other bits as instructed. I then had to pay not only for the items on the trolley but also the quote for the rest of the kitchen. This I think I handled well as the cashier spoke in rapid fire Spanish when giving me yet more instructions to continue my ordeal. I glanced hungrily at the hot dog stand but instead pushed my trolley onwards to the transport desk where I was charged more money and my hob and doorknobs were taken from me. Next I was sent to customer services to pay for our oven to be. Why it couldn’t be paid for in the original quote I’ve no idea but some IKEA logistics boffin has deemed an extra complication for the customer makes it easier for IKEA. The oven was out of stock so instead I bought an imaginary oven, and then took the receipt back to transport where they added my invisible oven to my trolley of doorknobs and whisked everything away. Hurray, hot dog time! I suspect using a local kitchen company would have been much easier. Seven hours of my life robbed by two stressful and soul destroying visits. Then there were the wasted hours using the useless website, oh and travel time. Although IKEA banked our money a month ago, I waited at home on delivery day but they never showed up. They didn’t bother to phone and cancel so yet more hours wasted trying to speak to someone on the premium 902 phone number. Five conversations later I was confidently informed that ‘maybe’ we will have a delivery next week. I explained that ‘maybe’ has a 50% chance and there are 7 days in the week so some more precision would be appreciated. The customer services man in Madrid then said he would write my name in his diary and check on progress in a few days and call me for a friendly chat if the kitchen wasnt delivered. Its now the following week and the man from Madrid must have lost my number as still no kitchen and no phone call from him. That really was thousands well spent. 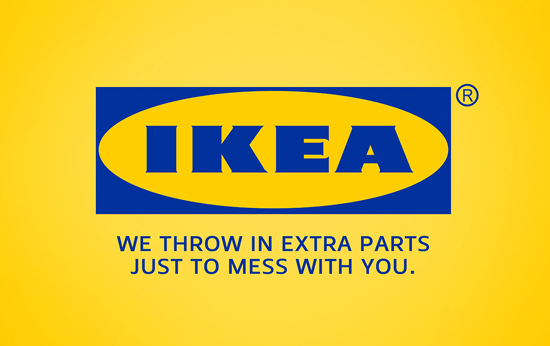 IKEA sort it out! A day later and the man from del monte called to say the delivery company have the missing parts and will call me asap – that was 24 hours ago and no phone call. This entry was posted in Bureacracy, Communication, Personal, Spain, Transport, Uncategorized and tagged bad service, builder, customer service, Dante Inferno, DIY, hell, IKEA, Kitchen, Malaga, shopping. Bookmark the permalink.